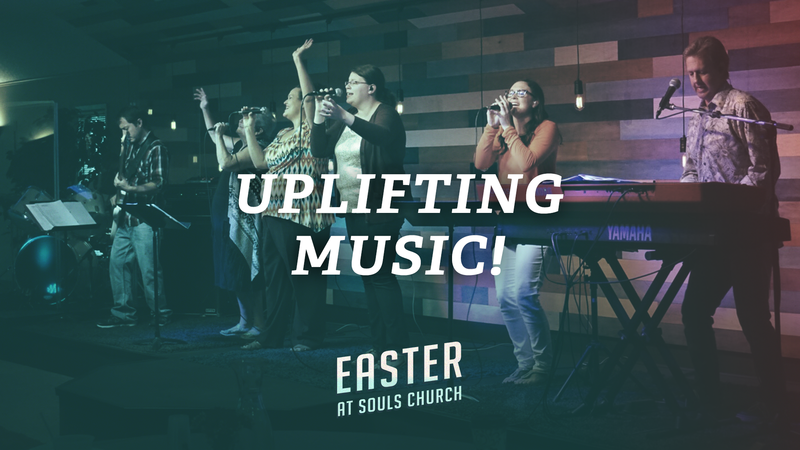 Join us Easter Weekend April 19-21 at Souls Church as we celebrate what Jesus did for us through uplifting music, a personal message of hope, an exciting kids service and more! 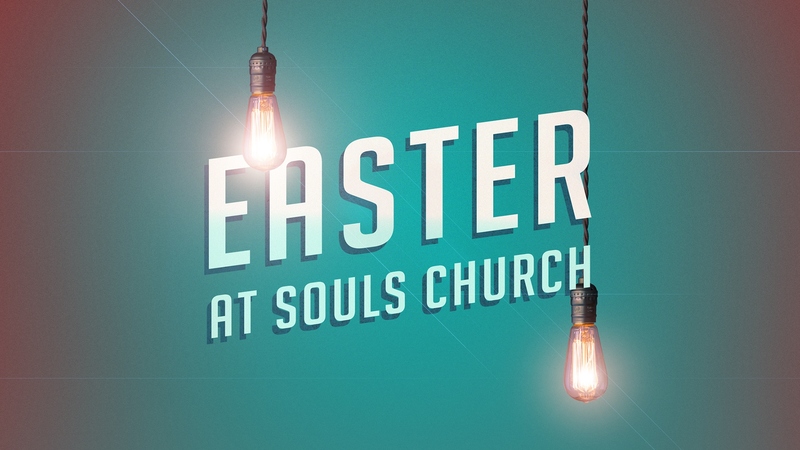 At Souls Church, we want you to have a powerful Easter experience. We have created this weekend to make sure you receive hope and encouragement for your life. When you arrive at our church, you can expect to be greeted with a warm welcome, enjoy a complimentary cup of Starbucks coffee, and get help from our team to find a seat and enjoy the service. You will experience dynamic worship, hear stories of real life change through video and special elements, and receive an uplifting message of hope. Doors to the sanctuary will open no later than 30 minutes before the start of the service, so plan to arrive in plenty of time to park, head inside, and get settled in your seat. If you have children to check into our Souls Kids children’s ministry (located in the main lobby), we encourage you to plan additional time into your schedule. 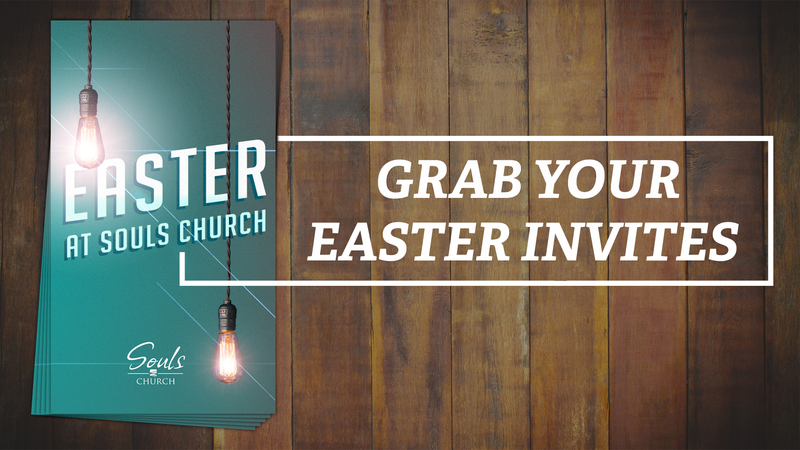 Note: Childcare is available at our Sunday Easter weekend service. If this is your first time at Souls Church, we are so glad to have you. We hope you will feel welcome and comfortable here. At every weekend service, you can expect a friendly environment where our team is there to help you with anything you might need. Whether it’s a parking spot, a cup of coffee, or a seat for the service, our team is here to welcome and assist you. We won’t call attention to you as a first time guest, and you are free to attend anonymously if that is most comfortable for you. We invite you to make Easter a family event. 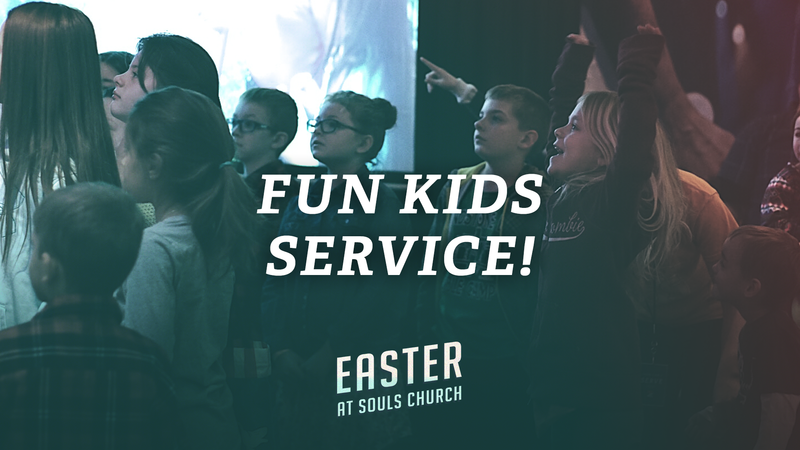 We want your children to experience the power of Easter too, which is why we have created a high-energy Souls Kids service (for ages 3 through 11) where they will receive the Easter story through an interactive message, music and craft projects that are specifically tailored to them. We also have excellent nursery care for children under age 3, beginning with check-in at 9:30 am.